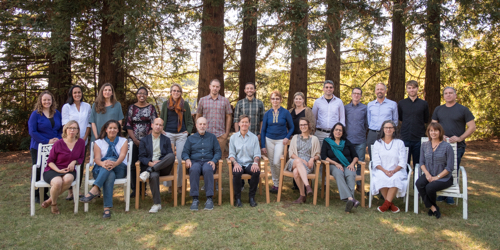 From examining students' perceptions of culturally inclusive teaching to using statistics to understand the challenges faced by underrepresented students in the physics major, the projects of 22 UC Santa Cruz faculty fellows seek to innovate teaching at both the undergraduate and graduate levels. The faculty fellows are supported by the new Center for Innovations in Teaching and Learning (CITL), which was established in July 2016 to revitalize the university's longstanding commitment to outstanding teaching. The CITL aims to provide support and resources for all who teach on campus, and especially focuses on the areas of inclusive teaching and teaching with technology. "UC Santa Cruz was founded with a deep commitment to undergraduate education," Chancellor George Blumenthal said. "The times have changed and we need to keep up. I'm excited about the great things that will come out of the center." Last academic year, the CITL received approximately 50 applications from faculty members for the inaugural cohort of fellows. With support from several campus sponsors, the CITL more than doubled the number of fellows—from 10 spots to 22, said Jody Greene, the center’s founding director. “It's incredibly significant for an institution to say 'teaching matters,'" Campus Provost/Executive Vice Chancellor Marlene Tromp said. "There's enormous pressure to bifurcate research and teaching, and pretend like they have nothing to do with each other, and when we bring them together it can be powerfully transformative for both our students and our faculty." The faculty fellows, representing all five academic divisions, will meet monthly to discuss their research and approaches to teaching, attend presentations, and hold workshops for other faculty members. Assistant Professor Christy Byrd's research project is aimed at understanding how students respond to inclusive teaching. Byrd plans to survey students whose instructors have participated in inclusive teaching workshops at the CITL, and students whose instructors have not, to see if there are any differences from the student perspective. "I want my project to show that even employing simple techniques can be helpful for students," Byrd said. With a background in educational psychology, Byrd said working with the CITL is another opportunity to explore her interests that relate to teaching. Teaching does not happen in a vacuum, and the CITL is hosting several programs this year that respond to changes in higher education and to the overall national climate. In light of the events at the University of Virginia in Charlottesville and the rescission of DACA, the CITL is hosting several workshops with Derisa Grant, who holds a Ph.D. from the Stanford University School of Education and who facilitates community-wide conversations on diversity and inclusion. "Our aim from the start has been to build a center that draws on the great tradition of teaching at UC Santa Cruz,” Greene noted, “while allowing us to respond nimbly to the very real and sometimes sudden challenges facing instructors in college classrooms today. The CITL’s annual convocation, on March 1-2, will feature Cathy N. Davidson, an educational innovator and a distinguished scholar of the history of technology. 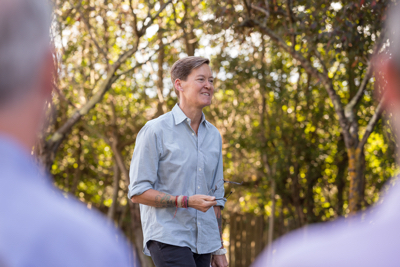 Davidson is an avid proponent of active ways of learning that help students to understand and navigate the radically changed global world in which we now all live, work, and learn. The Faculty Fellows program has received sponsorships from the Division of Student Success, the Institute for Humanities Research, the Arts Division, the Physical & Biological Sciences Division, Learning Support Services, Cultivamos Excelencia, and the Hispanic Serving Institution initiatives. A list of Faculty Fellows and their projects is available online.